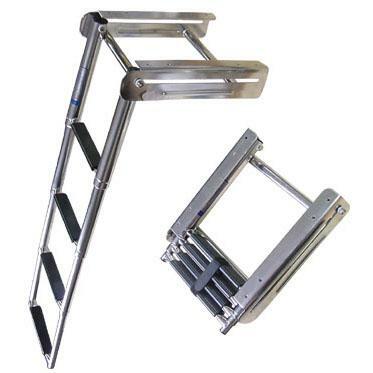 4 Step Slide Mount Under Swim Platform Ladder. Stainless Steel. Mounts under swim platform. 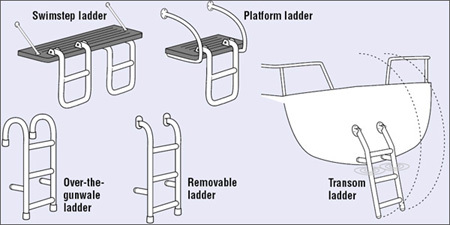 Slide system allows telescoping steps to slide up and under swim platform. 10" Center to Center Width. 8 1/2" Tread Width. 12 5/8" Mounting Width. 1/4" Fasteners (1-13/16" Hole Spacing). Length Open 45.5". Stowed Length 17-1/8". Stowed Height 2-1/2".